I was gutted when my lovely plasma TV decided to die. It was only the video inputs that went - I could still get some things on the screen like the volume control. 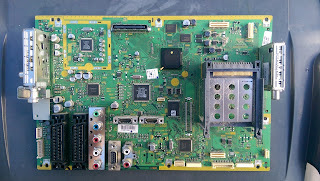 So, on the offchance, I went on that auction site again and looked for a new digital board for it. Well, I was surprised to find a TH42PZ70BA digital board for 13 quid. 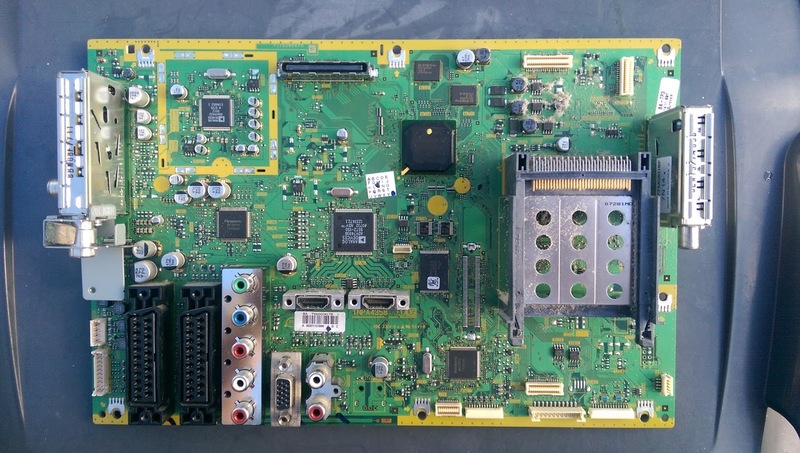 After removing what seemed like a million screws, I got down to the point where I could actually see the board I was trying to replace .. I was even more shocked when the replacement worked - all back to normal again! This is probably the last time in my life I will ever repair a TV, I just thought. I grew up with mono TVs and new colour TVs with their tube output push-pull output stages (Philips G6), LOPTs and triplers and CRTs with rimbands, convergence with 22 pots to adjust and a ton of X-rays shooting out. 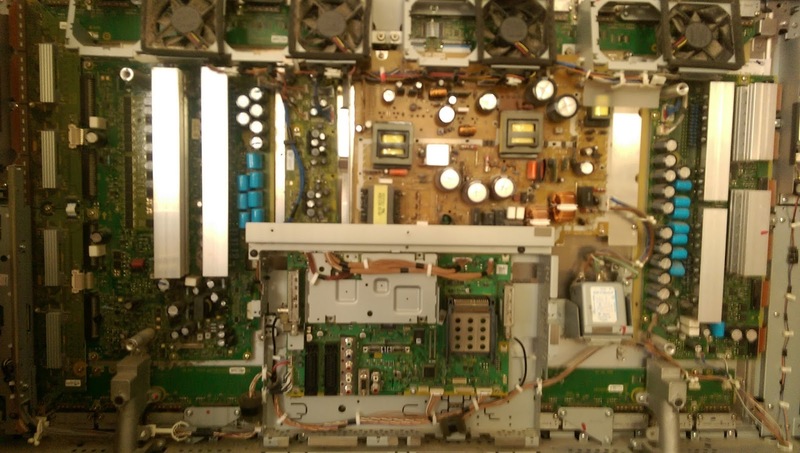 I used to help repair TVs (and amps, receivers, tuners etc) for pin money as a student. TVs were most challenging since the focus voltage was a few thousand volts, and the EHT was 25KV. Quite scary to work on the things, and the dust would collect on the high voltage components. I used that as an indication on the neck hardware which pins to avoid touching (all of them). Interestingly enough I had to apply a vacuum cleaner to this Plasma before I could repair it, as it was just coated in dust. These days, I do repair the odd LCD but they are very uninteresting. Occasionally it's a power supply capacitor that has let go. Sometimes that takes a switching transistor with it. Most other faults though, including the mechanical stuff - broken screens, broken connectors - I am sorry, but it's easier, faster and cheaper to go buy a new one. It rankles a bit, and offends my sense of wanting to repair rather than replace, and my care for the environment. When did manufacturers give up on designing things for repair? Well, if the plasma is anything to go by, about ten years ago.